Along with every hotelier, boat captain and beach trader on Kenya’s coast, Munyore – known to everyone as Elton John, a nickname bestowed by British tourists years ago – breathed a huge sigh of relief when Britain last month lifted its ban on travel to Mombasa and the adjacent coast, from Watamu southward to the border with Tanzania. This weekend’s visit by Barack Obama to open the Global Entrepreneurship Summit is much talked-about on the beaches. For small-time salesmen such as Elton John, the arrival of the American president to promote young entrepreneurs can only be a good thing, a sign that there is international confidence in Kenya and its future in spite of the security issues. 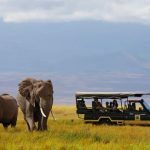 The British have visited the Kenyan coast in large numbers since the Eighties, drawn by the dazzling white sandy beaches, the friendly hotel staff, and the chance to spend a thrilling night or two on safari in the national parks of Tsavo and Amboseli. Sharing a border with Somalia has always been problematic, however. In the past couple of years, extremists linked to the militant group Al Shabaab have carried out a number of attacks in Lamu and Tana River counties on the border with Somalia. As a result, the Foreign and Commonwealth Office still warns against all but essential travel to these areas and to within 60km (37 miles) of the Kenya-Somalia border. In the wake of the sectarian violence, Britain and the United States have been providing military hardware and training as part of a raft of measures put in place by the Kenyan government to help secure the region. In coastal communities where the travel ban has been lifted, there is a renewed vigilance and a determination to preserve the open-minded tolerance for which the Swahili culture has long been known. In his role as chairman of the Kenya Coast Tourism Association (KCTA), Mohammed Hersi has set up customer service and security training courses for beach traders all along the coast. “There’s no more ‘them’ and ‘us’,” says Hersi. “The curio sellers, masseurs and safari sellers are valuable extra eyes and ears on the beach and in the local community.” The KCTA has so far trained more than 500 of these beach operators (the term “beach boy” is no longer used) and it seems to be paying off in many ways. As a single white female, I would normally have been mobbed walking alone on Bamburi beach. But after a gentle rebuttal to a man who tried to sell me a boat trip, and another who wanted to be my “friend”, I walked down the beach unmolested. Occasionally a curio seller called out, but there was a level of politeness on the beach that wasn’t there before. And the beach itself was a lot cleaner: the flotsam and jetsam dumped on Kenya’s beaches in summer by the Indian Ocean monsoon had been cleared up, even on stretches where there are no hotels. Despite the big drop in revenues, the coast’s large resort hotels have been keeping up their maintenance programmes. The buildings are freshly whitewashed and the lawns and flower beds have been clipped and weeded to perfection. Necessary upgrading work has also continued, creating the more spacious bedrooms demanded by today’s holidaymakers. 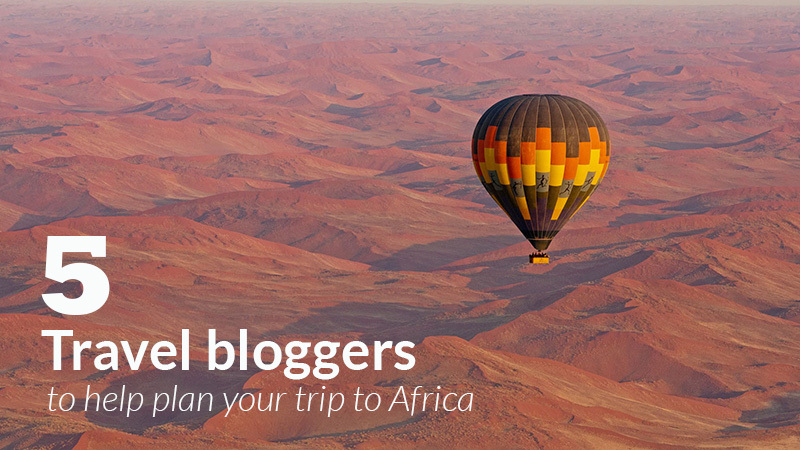 • Is it safe to travel to Kenya? Kenya’s most beautiful beach – in my view, one of the world’s best – is Diani, a long strand of soft white sand running south of Mombasa. The Foreign and Commonwealth Office advisory never included this area, as visitors could fly from Nairobi to Ukunda, the local airstrip, but it has suffered badly all the same. It was a clever ruse, meaning I had to pay a second visit. The sellers speak good English; lengthy bargaining is required for the simplest purchase. It’s the custom, they told me. A discount of 50 per cent is usual. I enjoyed talking to the beach operators, and finding out about their lives, but it’s not everyone’s cup of tea. For greater privacy, though, head south to where the metalled road runs out and the rural Africa of old reappears. The village of Msambweni is a delight. Traditional coral-stone houses line its grid of mud streets, which are also home to mango stalls and a great many hairdressers. Beyond the village lies Saruni Ocean, a new boutique hotel built in an attractive cuboid Swahili style. It is run by Luca De Marchis, a Roman chef, and his wife, Guilia, a marine biologist. Walking the beach here was an unfettered pleasure. An old lady watched a group of teenagers play football on the sand. In the shallows, younger boys were gutting eels and searching rock pools for more. At the reef’s edge, their fathers loaded nets into square-rigged dhows for the night’s fishing ahead. Occasionally I exchanged greetings: “Jambo”. “Habari”. “Nzuri sana asante”. I didn’t realise that beaches this unspoilt still existed in Kenya. Back in Diani, I collected my key-ring. As I turned to leave, a man quietly asked if I would buy one of his bead necklaces. “Choose any one and just pay me KSh100,” he said. They’re worth more than 70p, but he was clearly desperate to make a sale. “Why the bargain?” I asked. All package prices quoted below are per person for one week including flights from Britain, unless otherwise stated. Most hotels have extensive spas, watersports facilities plus diving and snorkelling on protected reefs. Thirty-seven rooms, including two-bedroom suites and beach cottages, on the loveliest stretch of Diani. Superb restaurant and sociable bar popular with expats. From £770 b & b; child sharing £539 (thesandskenya.com). A family home turned boutique retreat run by the Andersson family from Sweden. The 15 rooms are arranged in villas filled with antique pieces beside a private beach. Horse-riding and tennis on site with tuition. 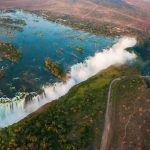 From £2,819 all inclusive; child sharing £1,899 (kinondo-kwetu.com). A stylish contemporary hideaway with 10 suites, a large infinity pool and fine dining under the stars. Charming Italian hosts speak English. From £2,055 full-board; child sharing £1,179 (saruni.com). Stylish sea view rooms and suites renovated over the past three years. Well run by a very friendly, efficient team. From £845 half-board; child sharing £765 (sarovahotels.com). The best family-oriented resort on the coast and a big favourite with Brits: spotless rooms, professional kids club, beautiful gardens, themed buffets and entertainment. From £900 all inclusive; child sharing £599 (heritage-eastafrica.com). Set in beautiful grounds by a quiet 1.2-mile beach bounded by cliffs. Intimate despite its 164 rooms: many recently enlarged with new bathrooms to create more space. Its Elemis spa is the best on the coast. From £1,025 half-board; child sharing £699 (serenahotels.com). A great three-star option with a particularly welcoming atmosphere. Good air-conditioned gym. From £690 half-board; child sharing £599 (travellersbeach.com). While Watamu’s leading hotel, Hemingways, remains closed the neighbouring Medina Palms is the luxury alternative: one-bedroom apartment sleeping two from £210 per night half-board (medinapalms.com). The oldest all-inclusive on the coast, it has loyal repeat customers and good food, though rooms are looking a little tired. From £975 all-inclusive; child sharing £599 (turtlebaykenya.com).